It feels as though not a day goes by without a news story about the next auto recall. These news reports seem like simple background noise until a devastating accident occurs to you or your family which could have been prevented but for the actions of a negligent auto manufacturer. A manufacturer and retailer have a duty of care to uphold to all consumers that their products will not harm any purchasers. The failure to uphold this duty could result in severe accidents and liability after injuries, thus making the decision to hire a Miami car defects lawyer who will fight for you all the more important. Auto defects plague car owners throughout the country on a daily basis, especially as we discover new hidden defects that are lurking within our vehicles. Automobile manufacturers are mandated to meet certain minimal legal standards. The failure to meet these standards could lead to devastating accidents and catastrophic injuries like broken bones or brain injuries, which could have been prevented had the automobile been correctly manufactured. However, auto manufacturers continue to skirt around these standards through lackluster testing and new designs which are rushed to the display room. Auto manufacturers are in the business of making money, and therefore do not want to waste time and expense in expertly testing their products prior to release. As a result, these automobiles are not tested to the extreme they should be, and hidden defects could exist which are not discovered until an accident occurs. The accident that led to traumatic injuries to your family could have been prevented but for the actions of the negligent auto manufacturer. Car defects not only lead to terrible accidents but can also result in costly repairs to the vehicle owners. One small auto defect could require a driver to spend thousands of dollars to correct the problem, or face weeks without their vehicle while it is being repaired. It is important to keep in mind that a car defect affects more than just one individual, but often impacts thousands of people throughout the country. A class action lawsuit is the appropriate method for bringing a claim against an automobile manufacturer who has developed a vehicle latent with auto defects. An experienced personal injury lawyer in Miami, FL will be able to assist you in developing your claim for damages, as well as forming a class action if necessary. The failure to alert an automobile owner of a hidden danger in the vehicle caused by the manufacturer’s own negligence could lead to a complete shift in the victim’s life. The wrongful death of a loved one due to the negligent actions of an auto manufacturer leaves a void which cannot be filled. However, the auto manufacturer can be held liable for their actions, and a claim can be brought against them to include medical expenses, funeral expenses, lost wages, and pain and suffering. 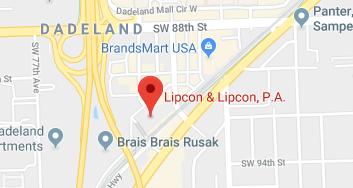 If you or a loved one has been injured due to a car defect, do not hesitate to contact the lawyers of Lipcon & Lipcon, P.A. Our attorneys have over 60 years of combined experience in handling personal injury claims stemming from auto defects. Auto defects can impact vehicle owners from all types of manufacturers, and the failure to correct a defect could continue to lead to more accidents until the problem is brought to light. Contact us today for your free initial consultation and a Miami car defect lawyer will begin to review your claim to determine the best course of action.